How will we respond to this request? If Jesus was literally coming to stay in a room in your house, how would you get that room ready for Him? Over the years, my guest room has become the catch-all place for storing junk. It would take a mighty effort to prepare it for a Divine guest. Clearing away piles of old school papers, out-of-date magazines, and outgrown clothes. Giving it a thorough dusting and vacuuming. Putting crisp, clean linens on the bed. Adding some touches of beauty, like fresh flowers or a nice-smelling candle. I’m not sure how long this would take, but I have a feeling Jesus would be waiting a while! Having a cluttered and chaotic room like this is kind of a burden. A friend of mine who works with computers once used the following analogy to explain why computers start to operate more slowly over time. Imagine if every time you walked through a room you put down a box. 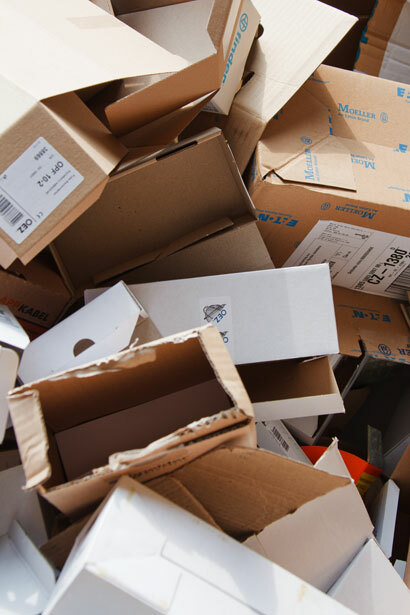 Eventually, the boxes would become so cluttered and piled up, that it would take you a long time to navigate the room. That’s why computers act sluggish when the disk space is filled up. And so, during this Advent season, I invite you to do some spiritual housekeeping. What are the boxes that are cluttering up your heart, making it difficult for God’s love to navigate? What is the disk space you need to clean out? Perhaps there’s that box labeled “stress” crammed with demanding schedules and never-ending “to do” lists. Or some files filled with the clamor and noise of relentless social media. Maybe another box contains regret over past mistakes or anger over old hurts. Whatever your personal “clutter” may be, cleaning up is easier than you think. Give every one of those boxes to God. He’s waiting to shoulder the weight. Let this Advent season be a time of awareness. Discover the presence of God in all that you do and all that you see. God is everywhere! Look for Him in everything! Clear out the “room” of your heart so it is prepared to receive the overwhelming, awesome, life-changing gift of Jesus Christ. Allow the Prince of Peace to fill you up in a totally new way.